Activists have charged Abu Dhabi and called for the release of a young Emirati arrested for expressing sympathy for Qatar amid the diplomatic row between the tiny gas-rich country and the Saudi-led bloc including the United Arab Emirates (UAE), Bahrain and Egypt. 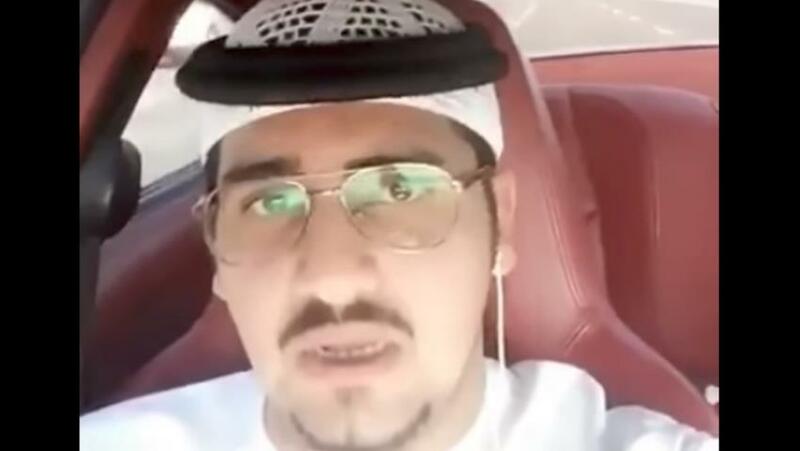 Ghanem Abdullah Mattar, a young Emirati was reportedly arrested last week for posting a video on social media praising Qatar and calling for ending blockades enforced against it by the Saudi-led bloc. “Qatar has proven to us that it cannot be led… It leads its people, but it cannot be led,” he commented. The Saudi-led bloc early June severed ties with Qatar and imposed sea, air and land blockades against Doha for its alleged sponsoring of terrorism. UAE has criminalized any communication or content that may express support to Qatar. Offenders could face a fine of $13,500 and a prison sentence of 15 years. A video purportedly showing Mattar’s arrest went viral on social network. Hashtag #FreedomfForEmirati AbdullahMattar trended rapidly on Twitter. Amnesty International also took to Twitter to thank activists who whistle-blew Mattar’s case. “We thank all those who have alerted us to the issue of Ghanem Abdullah. The issue is now followed by our team,” the organization said. In a separate report, former chief of Dubai police, Lieutenant General Dhahi Khalfan, on Twitter last week praised the Qatari ruler Tamim Bin Hamad Al-Thani, Middle East Monitor (MEMO) reports. “Tamim leads the front, which rejects yielding to the wicked Muslim Brotherhood and the terrorist groups. Salute to Tamim and those who stand with him, be they men, women or youth,” he was quoted as saying. Posted by KanelkaTagba on Jul 10 2017. Filed under Gulf News, Headlines. You can follow any responses to this entry through the RSS 2.0. Both comments and pings are currently closed.